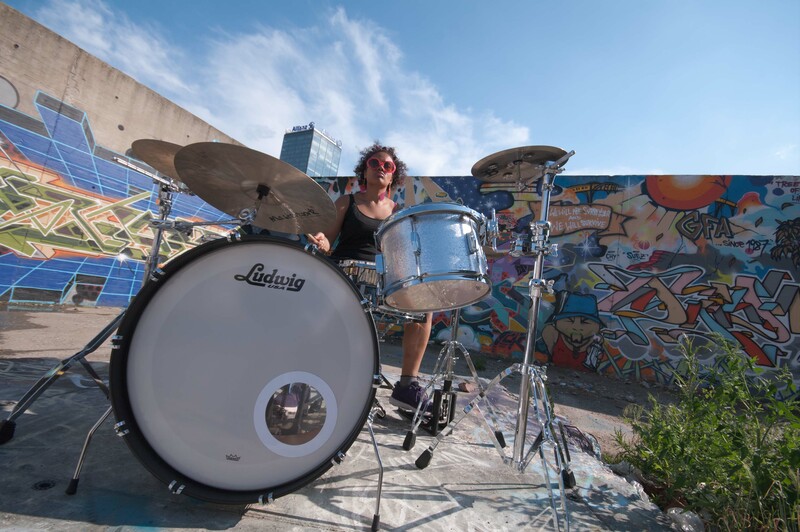 Jarita Freydank is a professional drummer from Berlin, Germany. She started taking lessons at age 17. Besides drum set her teacher Joachim Dölker showed her different percussion instruments and she joined Dölker's group, Groove Onkels feat. Tante. In this setting they also used household items to create rhythms. In 2007 she started her studies of popular music and education at the IFM Osnabrück - main instruments being drums and vocals. She played in different bands in Osnabrück and Münster ( Groovin’ Goblins, The Carlteh Band, Jacinto Mendez ) and jammed with bassist Maik Reishaus ( Blues Company ) and T.M. Stevens. After three years of studying she decided to move to Berlin. 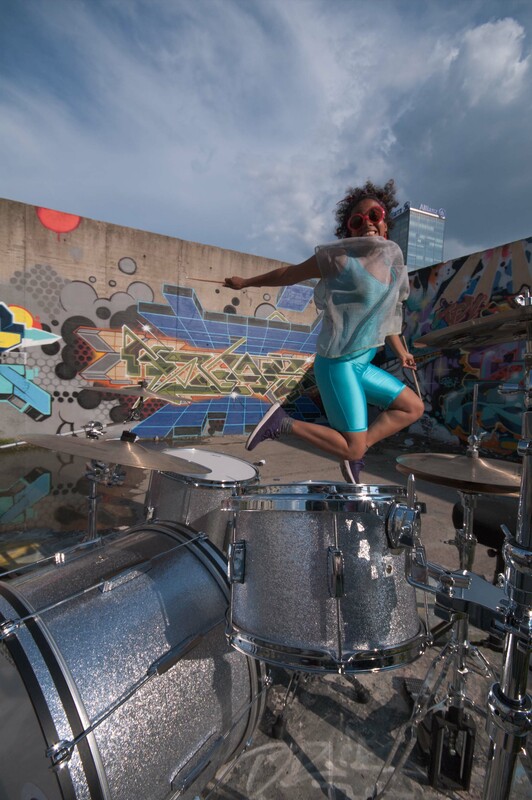 She toured with the electro pop trio Nachlader as drummer, played percussion for Keith Tynes ( The Platters ) and worked on her skills by involving herself with a professional program of Drumtrainer Berlin. After supporting Chefket at Splash! 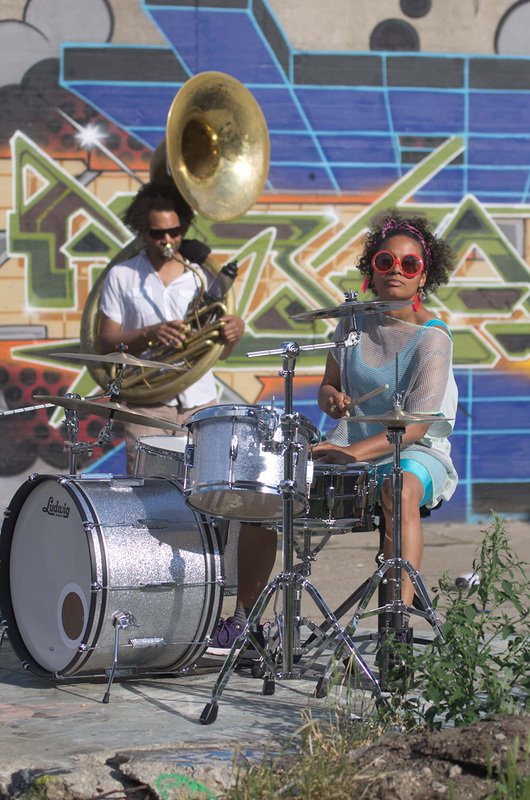 2013 ( a well known German hip hop festival ) Jarita joined the Judith Holofernes Band as percussionist and toured with her in Germany, Swiss and Austria in 2014. 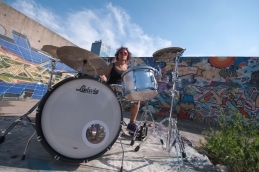 She also appeared on drums in the Judith Holofernes Trio on German television at TV Noir Comedy music show, Radio Eins and at Einslive Krone award. Jarita was playing the snare in the BÄM! Drumline which was founded by German singer Peter Fox ( Seeed ) and Bryan Little from New York. 2015 she was touring with soul singer Astrid North as her drummer and recorded some tracks for her upcoming album. In the moment she’s working on her debut album!